I know it will be hard to argue what the world’s best sandwich is, since we each have distinctive tastes and preferences, however I couldn’t let this deter me from asking you all for your opinion on one of my favorite subjects, next to BMW and art (oh, and purses), food. 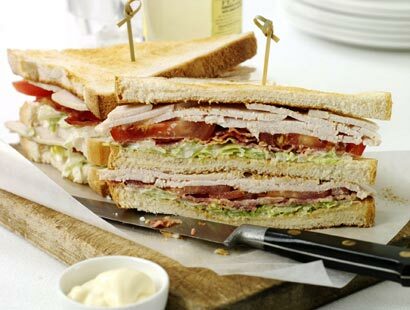 I love sandwiches because they are so easy, they take little to no time to make and there are NO RULES :). In college I was known to make the ‘left-over’ sandwich (or burrito) which make good use of the ‘doggie bag’ aka left overs. I have found including fresh bread, especially German or Austrian, a bit of real butter, cheese and wasabi sauce will guarantee a fantastic feast. Some of my favorite sandwiches include sharp cheddar and cucumber, spinach and grilled salmon and fresh crab with artichoke spread on practically any kind of bread, well besides pumpernickel. If you want a quick history lesson, read here. What is the most unusual sandwich you’ve polished off? Is your city/country known for their sandwich? Post a pic link if you have one. This should be fun!